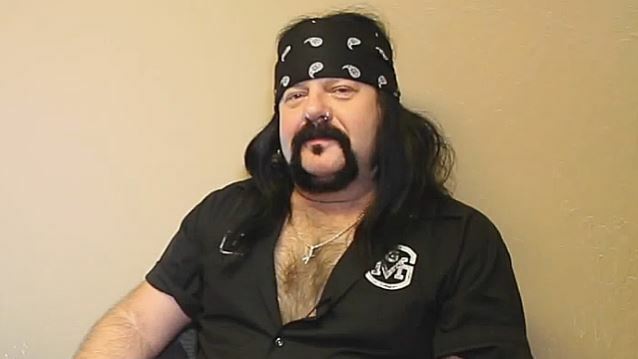 According to Billboard, former PANTERA drummer Vinnie Paul Abbott has died. He was 54 years old. Along with his brother, Dimebag Darrell, Paul (born Vincent Paul Abbott) formed Pantera in 1981. The group found mainstream success with second lead singer Phil Anselmo. Throughout its career, Pantera earned four Grammy nominations and charted nine albums on the Billboard 200, including its 1994 album Far Beyond Driven, which debuted at No. 1 on the chart. Since 2006, Paul was the drummer for Hellyeah, a heavy metal supergroup that also includes Mudvayne vocalist Chad Gray and Nothingface guitarist Tom Maxwell. Born in Texas, Paul credited his Lone Star roots for his powerful groove. “The Texas thing is part of it, growing up on a healthy dose of ZZ Top and Stevie Ray Vaughan, but I also was a metal-head from day one. Led Zeppelin, Black Sabbath, Kiss, Van Halen, all my favorite bands had really great grooves to their music,” he told OnlineDrummer.com a few years ago.